For those suffering from addiction, getting clean is hard to do alone. In fact, many would say it is impossible. Alcoholics find the struggle particularly difficult as alcohol is a legal substance and hard to escape. That is why alcohol treatment centers are so prevalent. Alcohol rehab is designed to help those struggling with addiction retrain their mental patterns while also building skills that allow them to both stay clean and be an active member of society. These facilities cater to different clientele (such as alcohol treatment centers for men). Of course, before someone signs up for treatment, both they and their loved ones should understand what rehab for alcoholics is and can do. What are the goals of alcohol rehabilitation? 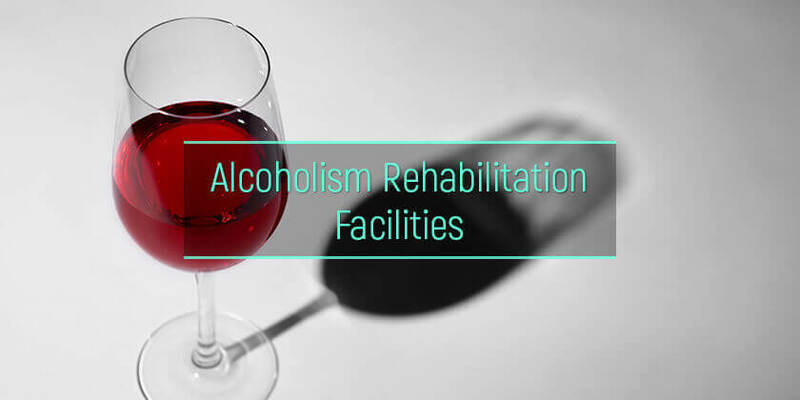 What are the types of alcohol rehab facilities? How to choose the right rehabilitation program? What is the U.S. alcoholism and rehab statistics? Alcohol addiction rehab is a program designed to help someone with problematic alcohol use permanently abstain from consumption. Depending on the center, the process can start with detox alcohol treatment or rehabilitation therapy. Some centers continue with sobriety maintenance while others will refer patients to recovery groups for this. Rehab for alcohol use should always be customized to the needs of the patient, and as such, it will look different from center to center and patient to patient. Assessment: The facility determines the patient’s mental and physical alcohol dependence level, checks their overall health, and screens for things like co-occurring disorders and other substance abuse. Detox: Anyone who is physically addicted to alcohol will require alcohol detox. Some facilities handle this on site while others outsource this to a local hospital, as alcohol detox can be deadly without the right interventions. Treatment: The exact methods used vary, but most facilities will offer a combination of psychological treatment and medicinal treatment. The goal is to get at what drives the addiction and establish the groundwork for sobriety. Education: There are many misconceptions about alcoholism and alcohol use disorder, and these can get in the way of recovery. When patients are empowered with the truth, they can avoid shame and get clean with confidence. It is important to note that alcohol dependence treatment does not stop when the patient leaves the facility or ends active treatment. Periodic counseling is still needed, and it is important to find a group that helps with maintaining sobriety, such as alcoholics anonymous. In some cases, sober living homes will be required. While rehabilitation is temporary, recovery is for life. One must keep in mind that addiction is personal, and as a result, so is alcoholic rehab. The exact goals will vary based on patient requirements. Many people think that rehab for alcoholics is one of two things: a hospital-like rehab center or Alcoholics Anonymous. However, there are many variables at play, allowing alcoholic rehab facilities to be highly individualized. 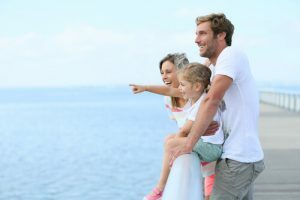 Here are just some of the ways drug and alcohol treatment centers can be classified in the U.S.
By setting: Many facilities offer both—inpatient alcohol rehab at the start, switching to outpatient treatment once further into recovery. However, some centers are outpatient or inpatient only. By counseling types: Alcohol rehab facilities can offer individual, group, and family counseling sessions. Some focus on only one type of counseling while some will incorporate all. By use of pharmaceuticals: There are medications that can curb the craving for alcohol, but not all rehabilitation facilities believe using them is best practice. By cost: There are rehab facilities at all price ranges, including free alcohol rehabilitation centers and those that accept insurance. By forms of psychotherapy: There are many forms of behavioral therapy used in recovery, including cognitive-behavioral therapy and eye movement desensitization and reprocessing therapy. By approach: There are two broad categories for the approach: traditional alcohol rehab and holistic alcohol rehab. The first tends to be based on the 12 steps while the second is about treating the whole person in a personalized way. By religion: Christian alcohol rehab is by far the most common religion-based rehab in the United States. However, there are other religions represented. For example, there are centers offering Jewish alcohol rehab. By patient age: Patients of different ages have different needs. As such, a teen alcohol rehab program should not overlap with an adult one. By location: Urban centers tend to offer the best access to hospitals and additional care, while rural facilities give patients the chance to use nature as part of their recovery. By gender: Many facilities offer treatment for both men and women. However, there are those that specialize strictly in women alcohol treatment or recovery for men. Those that mix genders tend to house them separately. By sexual orientation: Many LGBTQ individuals struggle with addiction, often as a coping mechanism for battling prejudices within society. 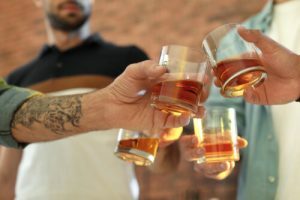 LGBTQ alcoholism rehab is tailored to the unique needs of this population. It is important to note that there can be overlap in types of facilities. For example, an alcohol outpatient program might offer Christian-based therapy strictly for teens. Because there are so many variables and significant overlap, there is a facility out there that is a perfect fit every person seeking recovery—it just requires a diligent search to find it. Beyond this, the patient must consider what their individual needs are. For example, someone with chronic alcoholism requires treatment from facilities that are prepared for dangerous detox and to deal with the health problems that result from heavy, long-term drinking. A teen patient with a dysfunctional home life will need a facility that offers family alcohol treatment. While the search may take time, the right facility is out there. While it is important to know what alcoholics rehab is and the treatments offered, sometimes what patients need are numbers. Many are reluctant to enter into therapy because they believe it is never successful, or they think admitting they have a problem will make them an outsider. However, statistics can help them see that rehabilitation has a high success rate and that they are not alone. Alcohol is one of the most commonly abused substances across all age groups and states. In many states, it is the number one most abused substance. It is estimated that over 15 million people have alcohol use disorder. Approximately 88,000 alcohol-related deaths occur in the United States every year. The majority of these deaths are men, accounting for nearly three-fourths of these fatalities. Many of these are from drunk driving accidents. Because most people know at least one person who has relapsed after rehab, it is easy to think that rehab is not effective. However, it is actually as effective as treatments for other chronic conditions, such as heart disease and diabetes. As with any form of healthcare, patient cooperation makes a major difference. Around half of all people who enter rehab complete it successfully. The first step in getting help is acknowledging there is a problem. For some, that might be brought on by experiencing the side effects of drinking alcohol, or realizing how their addiction is hurting others. For others, it might be because the law demands it. Whether voluntary or court-ordered alcohol rehabilitation, the right help is out there.